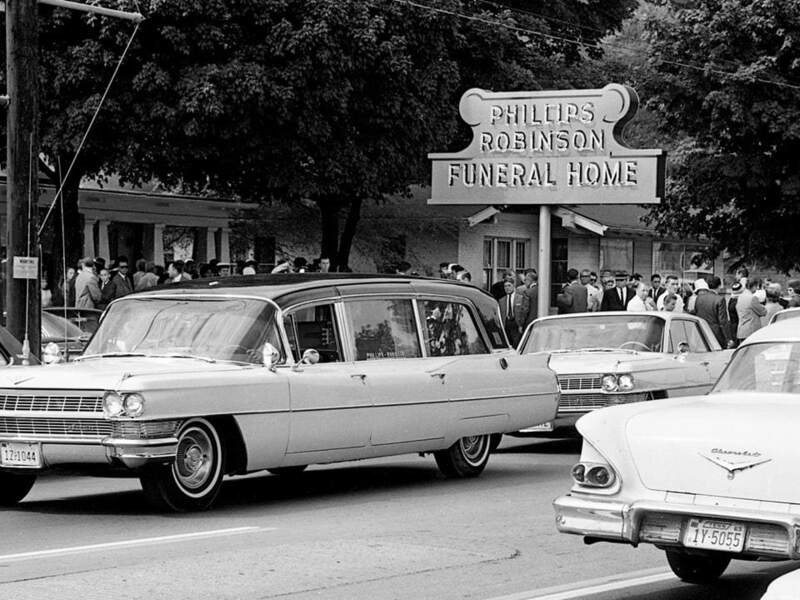 Phillips-Robinson Funeral Home has been serving the Nashville community for over 86 years. In 1929, our founders H. Dayton Phillips, Maude Muriel Robinson, and Garner Robinson sought a way to bring meaning, warmth, and compassion to the families of Old Hickory. 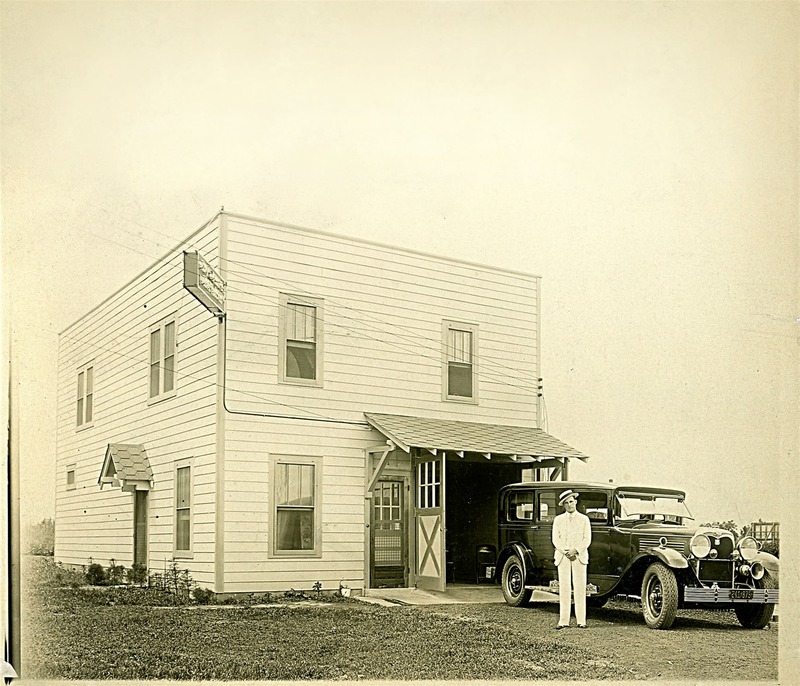 By establishing their family owned funeral home, they were able to devote their time and efforts to serving families and helping them through one of the most difficult times in their lives.Type or paste your funeral home history here. 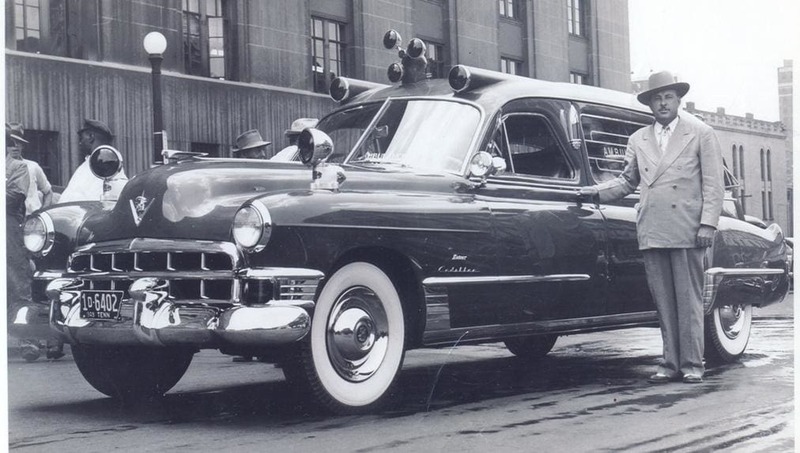 Phillips-Robinson Funeral Home began in Rayon City, providing "ambulance and funeral services." In 1932, the East Nashville location was opened, and now serves as the main office. Today, three generations later, we remain one of Nashville's few family owned funeral businesses, offering families quality services at an affordable price. The Phillips-Robinson tradition was carried on through the years with the leadership of Maude Muriel Robinson, H. Dayton Phillips, Garner Robinson and Robb Robinson. 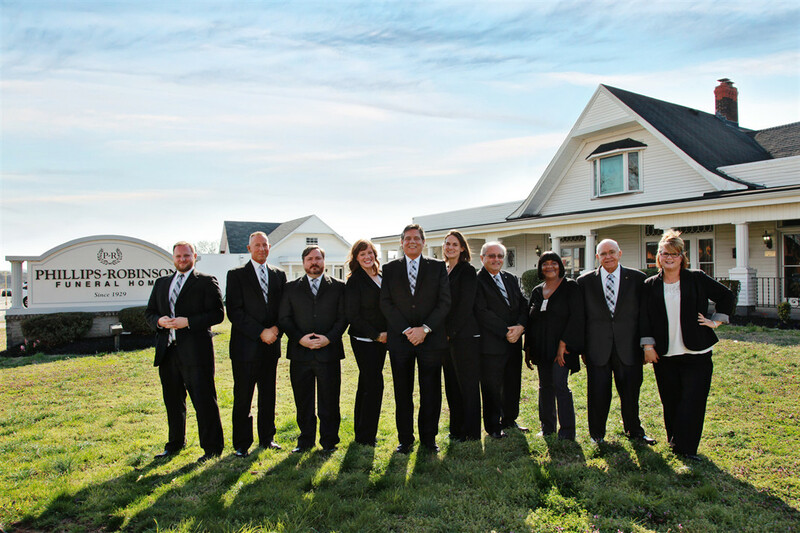 Today, Phillips-Robinson is still family owned and is operated under the direction of Gale Robinson, Owner, President and Funeral Director; Rachel Knott, Vice President and General Manager; and Katherine Robinson Sloan, Secretary and Treasurer; and a staff extremely qualified to serve every family's needs. We have expanded to include an on site full service, state of the art Crematory. Since 1929, "We pride ourselves on our care for your loved ones." Gale Robinson is native of Nashville and a 1974 graduate of Goodpasture Christian School. Gale received his Bachelors Degree from the University of Tennessee (Knoxville) in 1980. He received his Law Degree from the Nashville School of Law in 1984. Gale is a 3rd generation funeral director and in 2009 became sole owner of Phillips-Robinson. Gale also oversees and operates our onsite crematory. Gale and his wife, Nancy Oakley, have been married for 35 years and have four children. Gale is a member of the Nashville Bar Association, Tennessee Bar Association, Tennessee General Sessions Judges Conference, American Judges Association, Nashville Chamber of Commerce, Madison-Rivergate Chamber of Commerce and the Old Hickory Chamber of Commerce. He is the proud recipient of the Good Guys Award by Nashville Women’s Political Caucus. He was awarded the Judge Jane Wheatcraft award from the Tennessee Task Force against Domestic Violence and was the Local Government Official of the Year from the Nashville Coalition against Domestic Violence. Gale is a member Jere Baxtor-Edgefield Lodge #254, a 32nd Degree Scottish and York Right Mason, and a proud Al Menah Shriner. He has served as the captain of the Motor Corp., Potentate (CEO). He is an Emeritus Representative to Shriners International and presently serves on the Grievances and Appeals Committee. Gale has served his community as a General Sessions Judge for 23 years and has participated in the family funeral home for over 20 years. Gale and Nancy are members of Jackson Park Church of Christ and he is an avid Harley-Davidson motorcyclist. A native of Nashville, Rachel has been with Phillips-Robinson Funeral Home since 2003. She graduated from David Lipscomb High School 1994. Rachel received a Bachelor of Science degree in Biology from David Lipscomb University and an Associate’s degree in Mortuary Science from John A. Gupton College. Rachel is very proud of her family. Both of her parents are teachers, teaching in the Metro School System. Her brother is a Chief in the U.S. Navy and is married to Rachel’s best friend, Abby. Rachel’s nephew is the smartest, nicest ten year old anyone could meet and she never spoils him. Rachel serves on the board of directors for the Old Hickory Chamber of Commerce and is an active member of the Donelson-Hermitage YMCA. Rachel is an avid animal lover and supports the Nashville Humane Association. She resides in Hermitage with her goofy dog, Benson. In 2004 Matt Terry graduated with a Bachelor of Fine Arts Degree from East TN State University in his native Johnson City, TN. In 2005, on a whim and realizing that he no longer wanted to work in his chosen field, he moved to Nashville to attend John A. Gupton College of Mortuary Science. Upon graduation he joined with Phillips-Robinson Funeral Home and began working under the mentorship of both Charlie Worrell and Gale Robinson, becoming a licensed funeral director the following year. Since becoming a funeral director Matt has been privileged to get to know and serve the families of East Nashville and Old Hickory. He has been honored and humbled to be welcomed into their families and to call them his own. Funeral service is a career that he had never envisioned, but now can’t see himself doing anything else. In the last year Matt put down roots in East Nashville by buying his first home. He quickly realized that he now has no spare time because of all the work that goes into fixing it up. His dream is to one day finish the work, but deep down knows that it will never, ever, ever be done. Serving the East Nashville community since 1972, Charlie, a 1960 graduate of East Nashville High School, he earned a Bachelor of Theology and Master of Theology from Union Theological Seminary, New York; Doctor of Theology from Holy Trinity College and Seminary and a PhD in Thanatology from St. Martin’s College and Seminary. A Licensed Funeral Director since 1968, he was formerly General Manager of Finley Dorris and Charlton Funeral Home, and was the first non-family member to serve as General Manager of Phillips-Robinson, until his semi-retirement in 2011. He is a Member of the American Association of Christian Counselors, Federal Lodge No. 1, F & AM, Al Menah Shrine; Grand Secretary-Grand Scribe of the Odd Fellows of Tennessee, and in 1993-1994 served as Sovereign Grand Master of the Independent Order of Odd Fellows of the World; a Prelate in the Hospitaller Order of St. John of Jerusalem; a member of Wildey Lodge 194, Knights of Pythias; Presiding Bishop of the Orthodox Methodist Episcopal Church and Pastor of Faith Methodist Episcopal Church since 1970. Former Professor of Bible and President-Emeritus of Emmanuel Bible College; Executive Vice President of Bishop Webster College and Seminary and President of the Southern Institute of Theology-Naples, Italy, Southeastern Extension Division. A Provider of Continued Education for Funeral Directors and Embalmers, he is a resident of Robertson County, Tennessee, with his son, Dr. Charles “Gene” Worrell, Jr. Presently serving as a Funeral Director and Director of Compliance at Phillips-Robinson, where he continues to serve families, in their times of need. A graduate of Northwest Mortuary School in Southaven, Mississippi with an Associate's Degree of Applied Sciences, Adam has over 20 years of experience in funeral service. Originally from West, Tennessee, Adam has lived in the Madison/Inglewood area for 11 years and joined Phillips-Robinson Funeral Home in early 2010. Cathy has been with Phillips-Robinson for over 19 years. She enjoys working in funeral service and oversees special projects such as our Annual Tree of Memories program every December. She is a native of Rutherford County and enjoys singing Gospel music. A graduate of MTSU with a BS Degree in Mass Communication, Katherine is our Business Administrative and Secretary/Treasurer. She oversees accounts payable and receivable, advertising, media content and insurance claims. Born and raised in Nashville, Katherine graduated High School from Goodpasture Christian School. She followed a young dream of being a photographer for several years and truly feels she made the best move nine years ago…Working with her family here at the funeral home. She is grateful to help the Funeral Directors and serving the families through an undeniably dark time. Katherine is married to her high school sweetheart, Lyell. Together they have two children and reside in Hendersonville. She still loves to dabble in photography which now just consists of hundreds of images of her own children. Rich is a native of Illinois where he graduated from Midstate College in Peoria in 1967. He moved to Nashville in 1989 and has worked for Phillips-Robinson since November 2002. Rich and his wife, Georgia live in Mt. Juliet. Donna is a C.P.A. and graduated from Murray State University with a degree in Accounting. She has been with Phillips-Robinson Funeral home for 10 years. Her family has resided in the Nashville area for the past 30 years.